Seeking for best and approachable career guidance is the most demanded thing among the young generation these days. Especially, when the students are preparing for the challenging post like IAS, they ought to search for prospective career coaching. Herein, Elite IAS coaching offers the most reliable and worthy support. 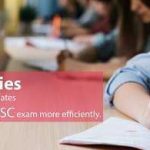 It is India’s top coaching institute that delivers high quality and result-oriented IAS coaching classes for the aspirants preparing for UPSC exam. Though, there are numerous learning centers that give assurance to the aspirants on account of the best education support system. Among them, Elite IAS coaching institute leads the Position as BEST IAS Coaching In Delhi India and stands ahead with a difference. It helps in bridging the gap between aspirants and their career goal with the right implementation of the updated study material and guidance given by the expert faculty. Interactive learning program: The experts at the center remain updated with the changing pattern of the IAS examination and thus, prepare the learning program accordingly. This is done to guide the aspirants according to the upgraded exam pattern without wasting his/her time on other irrelevant topics. Well-researched study material: Elite IAS Academy is the best UPSC coaching institute in Delhi that offers its students an effective approach to learn the necessary concepts. Herein, IAS study material is arranged by the expert faculty after thorough research on the main concepts. Similarly, practice papers, mock test papers are prepared after considering the relevancy of the concepts related to the previous year’s question papers. Scheduled timetable: Students are guided on the basis of two subjects at a time (out of many subjects in the syllabus). This is done to avoid the confusion and irritation that most of the students face while taking coaching. Once the subject(s) is finished, revision time is allotted and study on another subject(s) comes into progress. Even the batch sizes are kept small to allow the students to have a direct connection with the faculty. This is the reason that Elite is considered as best IAS coaching in Delhi. Elite IAS academy comes in India’s top 10 IAS coaching institutes in Delhi that delivers qualitative and quantitative approach to clear the most challenging exam for IAS Aspirant. Elite IAS is based in Mukherjee Nagar & Old Rajender Nagar (Karol Bagh) Delhi; it has been founded in 2012 by Bibhash Sharma and who is known for his scientific way of teaching and 100% student question solving and helping many students to get selected in Civil Services exam every year. Elite IAS Coaching institute – Weekend Coaching classes for IAS preparation, Weekend Batches & Online coaching for IAS are available to working professional or those who can’t attend classes daily base. The comprehensive courses are as detail as the foundation course itself.